We’re surrounded by photographs; the landscape of contemporary life is saturated with them – in wallets, on desks, piles in drawers, on walls, stored on memory cards and computers, but there remains, in some fundamental sense, a sort of ambiguity about them, something that feels almost like a slight-of-hand, to do with seeing and remembering, to do with what happened and what did not – in short, with all the conditions of our experience, of how we live and see ourselves living. The photographic process, the medium itself, is really a mutant, a shape-shifter, showing you whatever you want on its seemingly guileless surface and never – or only in part, by degrees – can you grasp how the trick is worked, how pictures form a new reality, with its own distinct logic and governed by a conceptual architecture that all photographs, no matter how dissimilar, must share. Increasingly we don’t really think about photographs being objects – they are more like screens, a liquid medium containing the image itself, its subject and meaning flowing together. 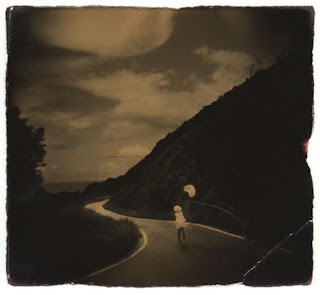 But Masao Yamamoto knows better and makes that same knowledge the basis for his art. He knows that photographs have a material weight, a presence, far beyond their actual dimensions. 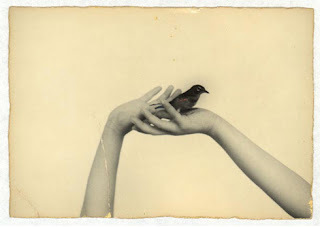 In Yamamoto’s hands they become infinitely charmed objects, bearing some intangible energy, showing how we use pictures like fetishes and like trophies – the very object of memory. His own pictures are feint, inconsistent; there’s something necessarily unreadable about them. Deliberately worn and stained, as though carried in a pocket for some time, as though the images held some burden of reference than needed constant re-affirmation, tokens of the fugitive present, now presented as evidence of some obsession, as proof, finally, that the act of recollection can never touch its subject. Any collection of pictures is an archive of lost time and Yamamoto gathers up stray moments of loss, fixed in these objects – but they can never break the surface; they are photography’s deepest contradiction. Each has a luminous uncertainty, distorted by the flow of time through it and across its surface, looking down the wrong end of the telescope, because as the experience of time is distorted, fractured even, then so is our sense of space and of scale. Most of Yamamoto’s works could be held in the palm of your hand too; his exploration of size is arguably among the most astute in photography today. While the overwhelming trend has been to create monumental works, the intimacy he develops is not a reactionary critique of a “decadent” age; in fact, what he whispers to you is far more subtle and it is this: there’s so much you haven’t seen you might as well not see at all, that you might as well be blind… and yet there is nothing that feels privileged about the depth of his seeing – whatever assertions he makes are quiet ones, moved by a passionate attention, but not demanding it. There is also undoubtedly a real connection to aspects of Zen thought, especially in the fierce concentration of how he sees and in terms of the philosophical motivation behind his pictures; the titles he has given to each large series he has worked on are like koans, like riddles, making contradiction meaningful. 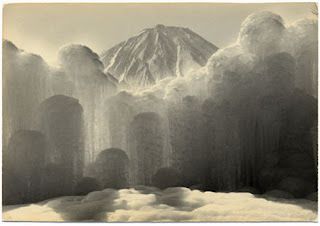 At the same time it would, of course, be absurd to suggest that the value of what Yamamoto does – to say nothing of his intention – stands as a corrective to the excesses, both formal and philosophical, of much recent art. What seems like self-effacement in his approach, its own particular reserve, is a strategy to draw one in to the space of the photograph; when so many push you further back, Yamamoto’s skill is to create a situation whereby you have to look, you have to understand the presence of the photograph, where its edges are and what it contains. The sum of his work (and it very much reads collectively) is perhaps far more grandiose than the rather unspectacular nature of the individual works might suggest. In print and in complex installations Yamamoto creates a living, charged network of photographic images, which give the impression of a sustained visual consciousness – of a life. However, they are not arranged in lines or grids, which might suggest some hierarchy of meaning, but rather in loose webs or clouds of imagery that produce associations that would be unforeseeable otherwise. The pictures bleed into the spaces around them, which is jagged, pregnant with meaning – or with its absence, with what pictures cannot show. These “blank” spaces, as the ground for the pictures, whether on the wall or on the page, are really what help to define the object qualities of the photographs he makes. The irregular edges of each diminutive print, seemingly unique in its fragile materiality, ruptures the illusion of the photograph as a contained process, the idea that it might have some discrete way of working – that it is merely a screen for the image. We see instead their dimensions, their shadow. So, while the effect might well risk being contrived or overly precious, with a particular reliance on the sort of nostalgia that old photographs generally evoke, conjuring up memories never lived, places you’ve never been to – what might seem like a weakness in the work, its perceived sentimentality, is the secretive little glance that opens up a whole world, previously unseen, where you find a vision far more rigorous, more demanding even, than would ever have been expected. Every action, every gesture, no matter how insubstantial or insignificant it might seem, leaves a trace, ephemeral as the stain of breath on a cold windowpane or the ring a wet glass makes on a table top, this is what Yamamoto follows. His desolate landscapes, the odd corners of habitation, the delicate figures and the flashing grace of birds in flight all share in the same insubstantial quality as his own photographic objects, what is seen and then gone – the photograph can never be enough, can never cover the distance, but in Yamamoto’s case it is indeed something you can hold in your hand.